Showtime in Tennessee at Flowers Direct | Flowers Direct Inc. 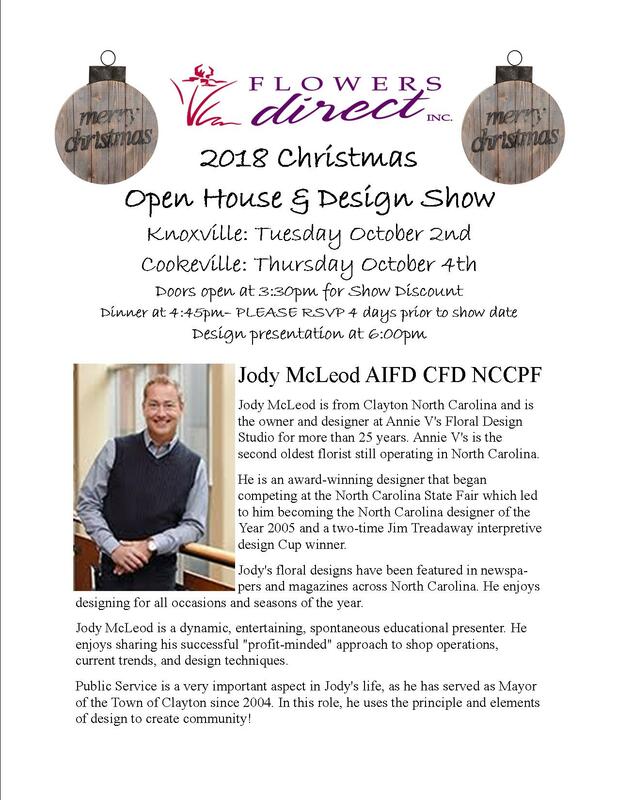 Flowers Direct is proud to welcome Jody McLeod AIFD CFD NCCPF to Knoxville & Cookeville for the first time! Both shows are sponsored by Syndicate Sales. 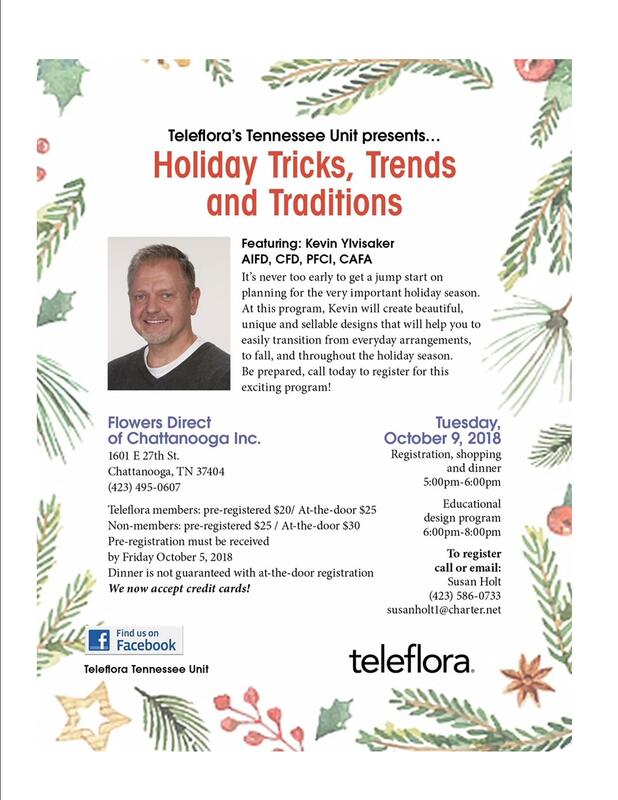 Flowers Direct is also very excited to have Kevin Ylvisaker AIFD CFD PFCI CAFA to Chattanooga. This show is sponsored by Teleflora Tennessee Unit.